As with any epic journey, the story of Neighborhood Life House starts long before its doors opened in 2009. 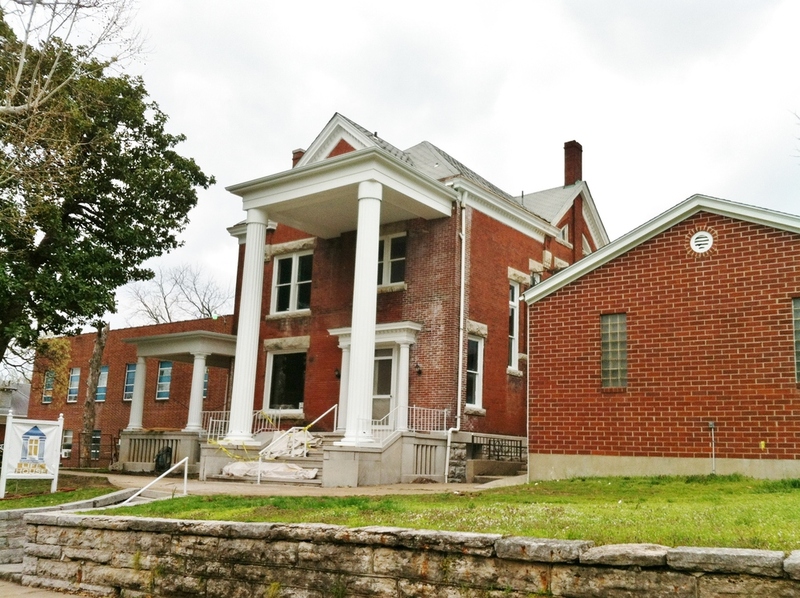 The building that is now the home to Neighborhood Life House was originally the home of Alonzo Cragin, a prominent lawyer and generous philanthropist who believed in building a stronger community in the city of Joplin. Built shortly after the civil war in the 1880s, this now historic home reflects the character and strength of historic Joplin. In keeping with the family tradition of supporting its community, the family sold the home to Ozark Christian College to be used as their school upon their move to Joplin in 1941. The school built additions to house a chapel, dining hall, and more classrooms in the late 40s and early 50s expanding the property to its current structure today. Many students were trained in ministry and leadership to go out and serve their communities during the years Ozark Christian College was housed there. In 1963, the school continued the legacy at 516 N Wall by gifting the property to a new church with a heart for its neighborhood, North Joplin Christian Church. The stories still told by neighbors who grew up coming to their youth programs, Sunday service, and family events tell a story of countless leaders who spent their lives serving their community. In 2008, as North Joplin Christian Church was faced with closing her doors, they sought a group that would continue the legacy carried on for over 100 years of caring for the neighborhood around them. Jay St. Clair, outreach minister at College Heights Christian Church, caught this vision and began praying that the opportunity would arise for a new ministry to take root in the building. Within the year, Neighborhood Life House was born. Incorporated as an official, independent 501(c)(3) in January 2009, Neighborhood Life House set out to build a strong community by empowering others to see who they can become with the help of God. Neighborhood Life House exists to build relationships within our community in a safe, Christ-centered environment. Addie graduated from Ozark Christian College in December of 2015 with a degree in Children's Ministry. She joined the Life House team in July 2016 after working at a local church in their children's ministry department. She has a heart for children and families, and bringing others to a deeper knowledge and love of Christ.